Offloading was a hot topic at the recent meeting of the International Working Group on the Diabetic Foot in the Netherlands. Diabetic foot experts in attendance discussed new research on offloading strategies and updated the organization’s practice recommendations. The most recent meeting of the International Working Group on the Diabetic Foot (IWGDF) in The Hague in the Netherlands this May illustrated how researchers and clinicians are establishing new levels of collaboration to help clarify the lessons of the lab and apply them in the clinic, particularly with respect to offloading strategies for patients with diabetic foot ulcers. The IWGDF’s recommendations have changed to reflect improved research methodologies, which should enhance their practicality and effectiveness. Foot ulcers afflict roughly 2% of patients with diabetes annually in developed countries.3 They are considered a major complication and are associated with high morbidity, mortality, and costs.4-6 Moreover, recurrence rates can be as high as 40% in the first year.7,8 As a result, preventing and treating such ulcers is critical, and offloading is an essential strategy for avoiding recurrence. Although total contact casts (TCCs) have long been the gold standard for offloading, they have been plagued historically with extremely low use rates by clinicians and poor patient tolerance,9 leading researchers to seek alternatives. Surgical offloading (including Achilles tendon lengthening, metatarsal head resection, and other approaches)2 is a last resort when less-invasive tactics fail. Kristien Van Acker, MD, PhD, a Belgian diabetologist who is chair of both the IWGDF and the International Diabetes Federation’s foot program, told LER it’s important that new guidelines improve patient care in both developed and less-developed countries. “You can have guidelines, but you must also have effective implementation,” she said. Van Acker noted, moreover, that the IWGDF’s recommendations have changed to reflect improved research methodologies, which should enhance their practicality and effectiveness. One important change related to patients with neuropathic plantar forefoot ulcers absent ischemia or uncontrolled infection is that the new guidelines call for offloading with a “non-removable knee-high device with an appropriate foot-device interface.” This could mean a TCC, but it could also refer to prefabricated removable walkers that have been altered so the patient can’t take them off. “In the past, the gold standard for ulcer treatment was casting,” Van Acker said. However, the issues with treatment adherence documented in temperate climates are exacerbated in other places. 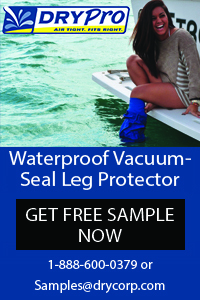 The guidelines state that if nonremovable devices are contra­indicated (eg, due to severe ischemia or a dangerous infection), or if they are poorly tolerated due to patient preference or local conditions, clinicians should switch the patient to a removable knee-high walker, Van Acker said. If that isn’t tolerated, clinicians can consider a forefoot offloading shoe, cast shoe, or custom temporary shoe. Because comorbidities such as peripheral arterial disease (PAD) affect decisions about casting and other offloading interventions, the IWGDF has clarified guidelines pertaining to them, as well. The main point, Van Acker said, is to use noninvasive bedside tests to exclude PAD. Those with an ankle-brachial index lower than .5 and a pedal pressure below 50 mm Hg are at high risk of amputation, Van Acker said. “If the circulation isn’t good, then of course you’ll have a delay in wound healing. But beyond that, if you put a cast on a high-risk vascular patient, you can do more harm than good,” she said. Van Acker explained that such cases are relatively common, in fact, which is one reason casting is used less often than guidelines might suggest. The new recommendations note specifically that offloading studies have focused almost exclusively on treating noncomplicated forefoot plantar ulcers. Little information is available regarding the value of offloading complicated plantar ulcers, midfoot and heel ulcers, and nonplantar ulcers. Moreover, the guidelines noted, many clinical studies don’t directly measure the degree to which an intervention has affected offloading. “We need to guide researchers to do better,” Van Acker said. To that end, she added, the IWGDF will publish a paper this year clarifying its recommendations for research protocols, particularly where pressure measurement is concerned. Similarly, the organization’s positions regarding therapeutic footwear have been modified to reflect improved technology that’s available for measuring in-shoe plantar pressures. Another offloading option noted in the recommendations is the use of felted foam, applied directly to the foot around the ulcer, in combination with appropriate footwear. Van Acker stressed that this approach is primarily for situations in which other methods aren’t available. As the breadth of conference presentations made clear, ideas about offloading are subject to evolutionary forces; as new forms emerge, only the strong—those provable and repeatable—will survive. 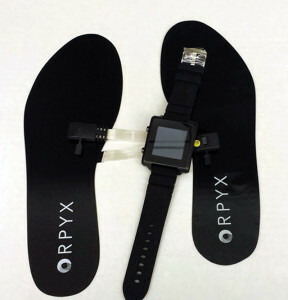 In one study, researchers at the University of Arizona (UA) College of Medicine in Tucson assessed smart insoles (Figure 1) for real-time monitoring of plantar pressures in 21 patients with diabetic peripheral neuropathy and recently healed foot ulcers.11 Patient dissatisfaction with the initial devices led to a redesign using a thinner insole and a smartwatch for monitoring in an ongoing follow-up study. Lead author Bijan Najafi, PhD, an associate professor of surgery at UA, said that the research is based on evaluating pressure areas over time rather than peak plantar pressure magnitude during walking. One effect of this approach is that the insoles are sensitive to pressure buildup during sitting and standing, not just to spikes during ambulation. “Someone sitting for a long time may transfer pressure to the medial or lateral part of the foot, and this can lead to ulceration,” Najafi explained. In the ongoing study, patients are alerted when a combined threshold value of pressure and duration is exceeded; researchers track how many alerts the patients receive, and whether they lead to a reduction in pressure. When patients get alerts during walking, the watch may suggest calling the medical office, and Najafi said clinicians will check the high-pressure area of the foot at the next appointment. In a collaborative study between the same UA group and investigators at Hamad Medical College in Doha, Qatar, researchers evaluated patterns of physical activity, and their relationship to wound healing, in patients with foot ulcers protected by either removable or nonremovable offloading devices.12 They found that healing proportion was higher at 12 weeks in patients who received an instant total contact cast (iTCC) versus those who’d been given a removable cast walker (RCW). Those with the walker were significantly more active than those in the iTCC group, but in the RCW group it appeared that standing in particular was associated with delayed wound healing. In another oral session, investigators from the Netherlands reported that various types of felted foam products significantly reduced peak plantar pressures during walking in 16 healthy adults compared with walking barefoot.13 Mean peak pressure reductions varied between 32% and 43% depending on the foam type used, though there was some tendency for pressures to creep back up after 24 hours. The authors noted that, although the promising results were found in healthy individuals, there was no reason to suspect that the effects would be different in patients with diabetes, and suggested that the loss of offloading over time could be addressed by changing the pads daily. In a presentation on the results of a randomized clinical trial of 247 patients with foot ulcers conducted at the University of Texas Southwestern Medical Center in Dallas,14 significantly more patients were healed by TCCs (74%) than removable cast boots (RCBs) or iTCCs (45%). The TCCs were also associated with fewer iatrogenic ulcers, abrasions, blisters, infections, and serious adverse events than the other offloading devices. One of that paper’s coauthors, David Armstrong, DPM, MD, PhD, said that because neither the TCCs nor the iTCCs were removable, the results were surprising, especially given that they seemed to subvert the new IWGDF guidelines Armstrong helped write. Armstrong, who is a professor of surgery and codirector of the Southern Arizona Limb Salvage Alliance (SALSA) at the University of Arizona College of Medicine, said he suspected the results might have been affected by the study design. In another randomized trial of 60 diabetic patients with uninfected, nonischemic plantar forefoot ulcers,15 three removable devices—a bivalved TCC, a custom-cast removable fiberglass shoe, and a rocker-sole forefoot offloading shoe (see Figure 2)—didn’t differ significantly in clinical efficacy. The 12-week healing rates were 58%, 60%, and 70%, respectively; at 20 weeks, they were 63%, 83%, and 80%. Lead author Jaap Van Netten, PhD, a human movement specialist who is a senior researcher at Ziekenhuisgroep Twente in Almelo in the Netherlands, credited his coauthors with conceiving and initiating the study. The findings are important to real-world practice, he said, partly because of the discrepancy between research results and common practice patterns. “The evidence supports the superiority of the nonremovable TCC,16,17 but in actuality it’s used in a relatively small number of patients,” he continued, explaining that certain practical issues associated with the devices reduce the frequency with which they’re prescribed. In a nod to the IWGDF recommendations, clinicians at Van Netten’s facility now initially prescribe nonremovable TCCs more often. But after a week, they may switch patients to a removable device with the caveat that if healing is too slow, they’ll have to go back to the TCC. For patients whose infected ulcers or ischemia make it imperative to monitor the wound, the results by Van Netten and his colleagues shed light on what can be expected with a variety of removable devices. “We didn’t find major differences among them, so you can see which device fits the patient best,” he said. Another oral presentation examined ways to improve compliance by reducing the limb-length inequality associated with RCWs, the hypothesis being that, if patients were more comfortable, they wouldn’t remove the walkers so much.18 Investigators at Rosalind Franklin University in Chicago evaluated 25 patients at risk for foot ulcers wearing both short and long RCWs, with and without a contralateral lift. 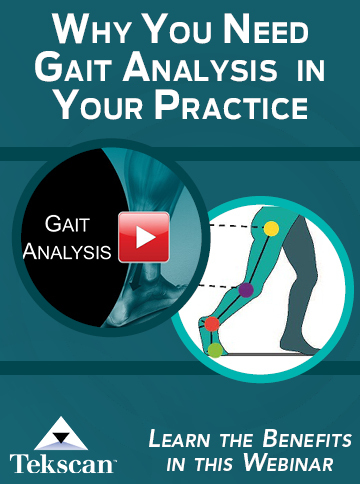 They found that the short device reduced gait velocity less than the taller one, and that the lift didn’t significantly affect velocity. However, the cast foot was best offloaded in the taller RCW. This raised the obvious question of whether the advantages of a better offloading device are offset by its increased discomfort and the resulting potential for lower compliance. Several of the posters presented at the conference addressed issues related to offloading, as well. 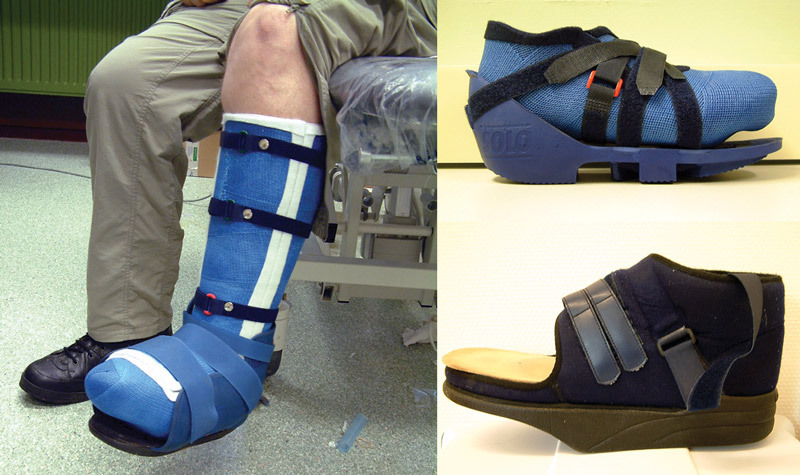 In a five-year retrospective analysis,19 Dutch researchers reported a healing rate of 88% with custom-cast removable fiberglass shoes, suggesting that the shoe was as effective as a TCC. The shoes were associated with healing rates of 64% and 85% at 12 and 20 weeks, respectively, and effectively treated grade 3 ulcers in addition to grade 1 and 2 ulcers. In another poster, Panamanian investigators studied an off-the-shelf TCC system in nine patients; the casts and dressings were changed two to three days after initial application and weekly thereafter.20 The authors found that the cast system achieved roughly a 50% reduction in ulcer surface area at four weeks; moreover, six patients experienced full wound closure at eight weeks. Dennis Janisse, CPed, presented a literature review showing that rocker soles are an effective—and often overlooked—means of offloading the forefoot and reducing peak plantar pressures.21 Janisse, who is president and chief executive officer of National Pedorthic Services and a clinical assistant professor of physical medicine and rehabilitation at the Medical College of Wisconsin in Milwaukee, told LER the review showed that rocker soles could reduce pressure by 35% to 65% under the heel and central metatarsal heads; that rockers don’t negatively affect postural stability in patients with diabetic neuropathy; and that attention to an individual patient’s pathologies is critical when choosing between offloading device designs. In another study designed to analyze the association between the locations of healed ulcers and peak plantar shear, Texas researchers used a custom stress plate that quantified triaxial plantar stresses.22 Of the eight healed ulcer locations (updated from four in the submitted abstract), three corresponded with peak shear sites only, two with the peak pressure site only, one occurred at a site that experienced both peak pressure and peak shear, and two didn’t overlap with either peak pressure or peak shear. 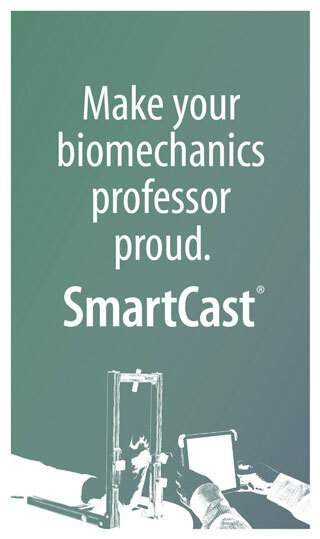 The lead author of the abstract, Metin Yavuz, DEng, an engineer and assistant professor of physical therapy at the University of North Texas Health Science Center in Fort Worth, said the study exposed how complicated it can be to evaluate the effects of the forces that affect the plantar surface of the foot. “These results should make us rethink ulceration pathomechanics,” Yavuz said. Shear is biphasic, he noted; that is, braking forces occur when the foot hits the ground, then at push-off the shear acts in the opposite direction. Yavuz likens it to breaking a paper clip by bending it back and forth. “For us to effectively prevent ulcers, we need to have a better understanding of why they occur, and try to integrate the implications of pressure, shear, temperature, physical activity, skin properties, and even moisture,” he said. As an example, Yavuz noted that when researchers discuss physical activity, they usually mean the average number of steps taken in a given day. But such simple measures fail to include walking speed, which affects both pressure and shear stresses. A more sophisticated measure called cumulative daily stress,23 developed by researchers at Washington University in St. Louis, would provide information about both the magnitude of stress and how long per step it was applied to the skin, according to Yavuz. Yavuz plans to add shear stress to this equation so the measurement becomes 3D. Guidance on footwear and offloading 2015. International Working Group on the Diabetic Foot website. 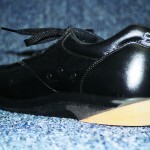 http://iwgdf.org/guidelines/guidance-on-footwear-and-offloading-2015/. Accessed June 28, 2015. Footwear and offloading. International Working Group on the Diabetic Foot website. http://iwgdf.org/guidelines-2/systematic-reviews/footwear-and-offloading/. Accessed June 28, 2015. Abbott CA, Carrington AL, Ashe H, et al. The Northwest Diabetes Foot Care Study: incidence of, and risk factors for, new diabetic foot ulceration in a community-based patient cohort. Diabet Med 2002;19(5):377-384. Prompers L, Huijberts M, Apelqvist J, et al. High prevalence of ischaemia, infection and serious comborbidity in patients with diabetic foot disease in Europe. Diabetologia 2007;50(1):18-25. Bakker K, Apelqvist J, Schaper NC, et al. Practical guidelines on the management and prevention of the diabetic foot 2011. Diabet Metab Res Rev 2012;28(Suppl 1):225-231. Boulton AJ, Kirsner RS, Vileikyte L. Neuropathic diabetic foot ulcers. N Engl J Med 2004;351(1):48-55. Pound N, Chipchase S, Treece K, et al. Ulcer-free survival following management of foot ulcers in diabetes. Diabet Med 2005;22(10):1306-1309. Bus SA, Waaijman R, Arts M, et al. Effect of custom-made footwear on foot ulcer recurrence in diabetes: a multicenter randomized controlled trial. Diabetes Care 2013;36(12):4109-4116. Ulbrecht JS, Hurley T, Mauger DT, Cavanagh PR. Prevention of recurrent foot ulcers with plantar pressure-based in-shoe orthoses: the CareFUL prevention multicenter randomized controlled trial. Diabetes Care 2014;37(7):1982-1989. Najafi B, Lee-Eng J, Bharara M, Armstrong D. Patient-centric device designed of smart insoles for real-time monitoring of plantar pressures. Presented at the Seventh International Symposium on the Diabetic Foot, The Hague, the Netherlands, May 2015. Najafi B, Grewal G, Bharara M, et al. Can’t stand the pressure: The association between unprotected standing, walking and wound healing. Presented at the Seventh International Symposium on the Diabetic Foot, The Hague, the Netherlands, May 2015. Busch-Westbroek T, Holst L, Houdijk H, Bus S. The effect of felted foam on plantar peak pressure relief and its preservation over time. Presented at the Seventh International Symposium on the Diabetic Foot, The Hague, the Netherlands, May 2015. Lavery L, Lavery D, Armstrong DA, et al. 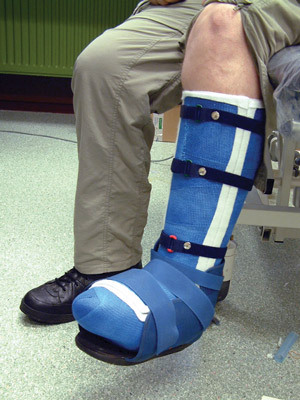 Randomized clinical trial to evaluate efficacy and safety between total contact casts, removable cast boots and instant total contact casts. Presented at the Seventh International Symposium on the Diabetic Foot, The Hague, the Netherlands, May 2015. Van Netten J, van Baal J, Kottink A, et al. The efficacy of removable devices to offload and he’ll neuropathic plantar forefoot ulcers in diabetes: a randomized controlled trial. Presented at the Seventh International Symposium on the Diabetic Foot, The Hague, the Netherlands, May 2015. Lewis J, Lipp A. Pressure-relieving interventions for treating diabetic foot ulcers. Cochrane Database Syst Rev 2013;CD002302. Morona JK, Buckley ES, Jones S, et al. Comparison of the clinical effectiveness of different off-loading devices for the treatment of neuropathic foot ulcers in patients with diabetes: a systematic review and meta-analysis. Diabetes Metab Res Rev 2013;29(3):189-193. Crews R, Candela J, Ramin G. Gait and perceived comfort implications of offloading devices: size and induced limb length inequality. Presented at the Seventh International Symposium on the Diabetic Foot, The Hague, the Netherlands, May 2015. Manning E, Bril A, Bus S. The MABAL cast shoe for offloading plantar neuropathic diabetic foot ulcers: results from a five-year retrospective analysis. Presented at the Seventh International Symposium on the Diabetic Foot, The Hague, the Netherlands, May 2015. Puerta J, Ramos J, Moreno H. Introduction of an off-the-shelf total contact casting (TCC) system in large outpatient diabetic foot ulcer clinic. Presented at the Seventh International Symposium on the Diabetic Foot, The Hague, the Netherlands, May 2015. Janisse D. Rocker soles for the diabetic foot: what does current research demonstrate? Presented at the Seventh International Symposium on the Diabetic Foot, The Hague, the Netherlands, May 2015. Adams L, Master H, Garrett A, et al. Do diabetic foot ulcers develop at peak shear locations? A call to revisit ulceration path the mechanics. Presented at the Seventh International Symposium on the Diabetic Foot, The Hague, the Netherlands, May 2015. Maluf KS, Mueller MJ. Novel Award 2002. Comparison of physical activity and cumulative plantar tissue stress among subjects with and without diabetes mellitus and a history of recurrent plantar ulcers. Clin Biomech 2003;18(7):567-575.